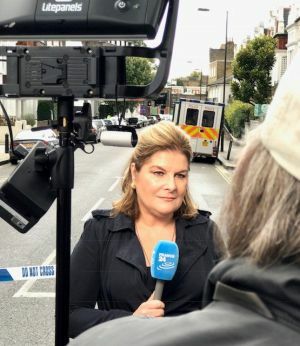 Bénédicte has been reporting on the Leveson Inquiry, the Queen's Diamond Jubilee, the French Presidential elections, President Hollande's inauguration, the crisis in the Eurozone, Julian Assange's legal battles to fight extradition to Sweden. 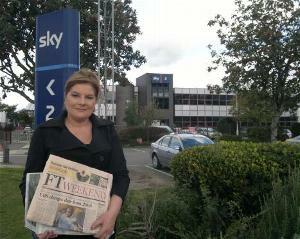 Bénédicte at Sky News HQ to review the British papers. Bénédicte Paviot reporting for France 24 outside the Wapping HQ of News International on Sunday 10 July 2011 as the News of the World is published for the last time and bids farewell to British newsstands. The tabloid was killed off by Rupert Murdoch because of the media storm and public revulsion over the phone hacking scandal. 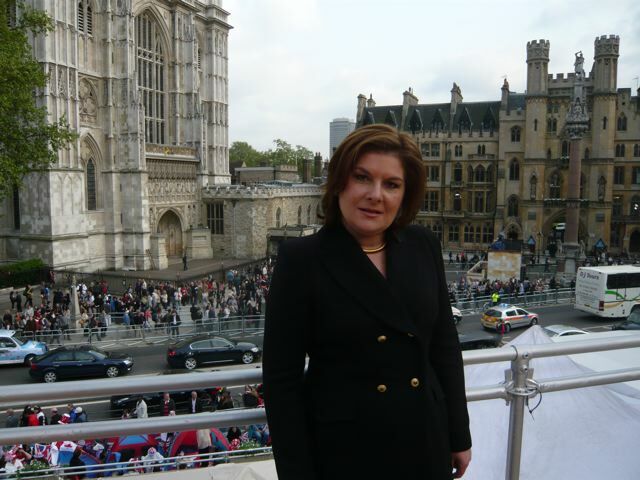 Bénédicte Paviot reporting for France 24 outside Westminster Abbey on 28 April 2011, the day before the Royal Wedding of Prince William to Catherine Middleton. 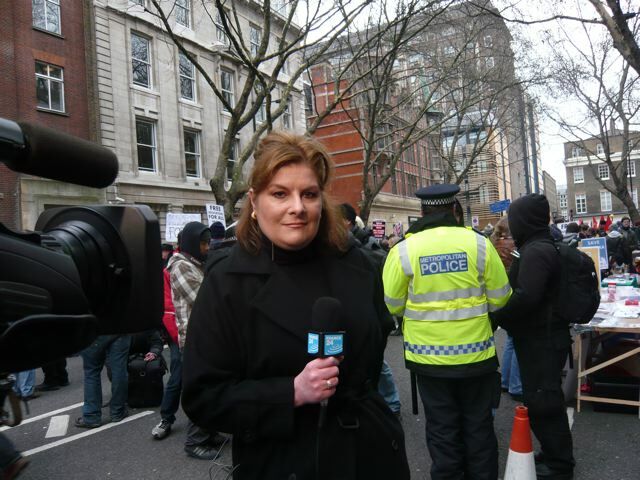 Bénédicte Paviot reporting for France 24 outside UCL in London on 29 January 2011, on the big student demo against government cuts. 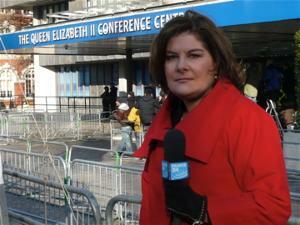 Bénédicte Paviot reporting for France 24 in December 2010 outside City of Westminster Magistrates' Court in London on the bail hearing of Wikileaks' founder, Julian Assange. Bénédicte Paviot reporting from Manchester on Ed Miliband's victory in the Labour leadership election in September 2010. 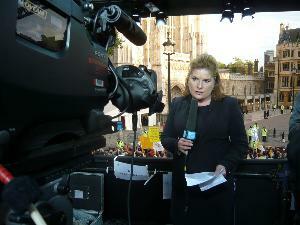 Bénédicte Paviot reporting for France 24 outside Westminster Abbey as Pope Benedict XVI arrives to attend a Service of Evening Prayer with the Archbishop of Canterbury, Dr Rowan Williams, in September 2010. Bénédicte Paviot reporting for France 24 during the UK General Election in May 2010. 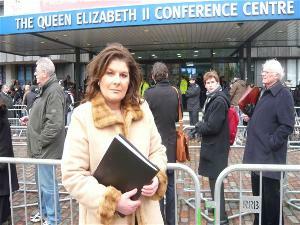 Bénédicte Paviot reporting live for France 24 on UK Prime Minister Gordon Brown's appearance before the Iraq inquiry on 5 March 2010. 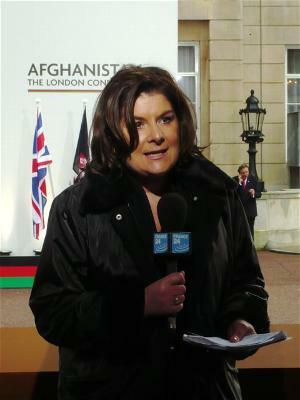 Bénédicte Paviot reporting live for France 24 from the Afghanistan conference in London which took place at Lancaster House on 28 January 2010. Bénédicte Paviot reporting live for France 24 on the former UK Prime Minister Tony Blair's appearance before the Iraq inquiry on 29 January 2010. Bénédicte Paviot reporting live for France 24 from the anti-capitalist protests outside the Bank of England during the G20 summit in London. Bénédicte Paviot in conversation with the Chancellor of the Exchequer Alistair Darling prior to interviewing him at 11 Downing Street during the G20 London Summit in April 2009. 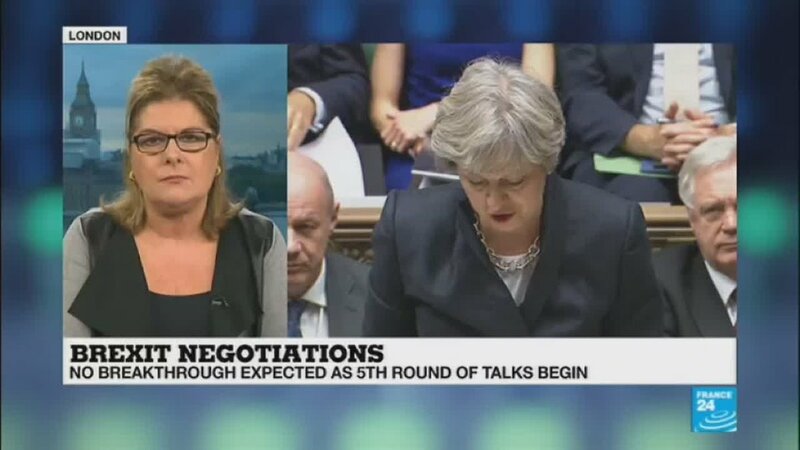 Bénédicte Paviot reporting live for France 24 from Downing Street during the "Global Europe Summit" hosted by Gordon Brown with President Sarkozy and the President of the European Commission José Manuel Barroso. Bénédicte Paviot reporting for France 24 on the occasion of the election of Barack Obama as President of the United States. 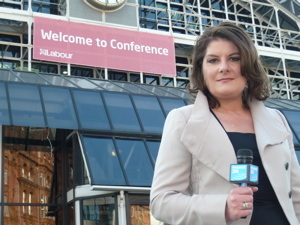 Bénédicte Paviot reporting live for France 24 from the 2008 Labour Party conference in Manchester. 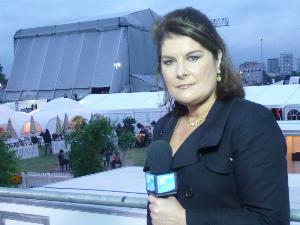 Bénédicte Paviot reporting live for France 24 from the Nelson Mandela 90th Birthday concert in Hyde Park, London. 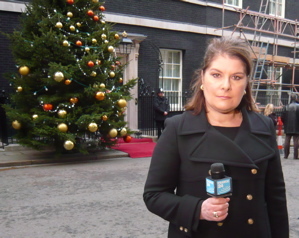 Bénédicte Paviot reporting for France 24 from 10 Downing Street during President Sarkozy's State visit. 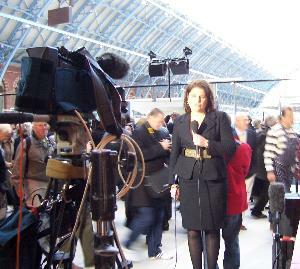 Bénédicte Paviot reporting live on the opening of London's St Pancras International station, the new home of Eurostar. For BBC Radio Wales, what can the French teach the British about alcohol consumption?